WOW That will be their reaction when they receive this amazing Christmas Gift. 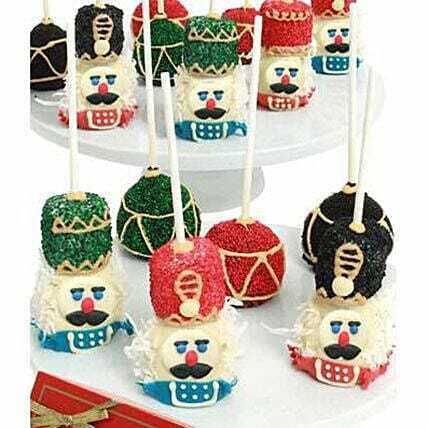 Eight Chocolate Covered Nutcracker Cake Pops are delivered just in time for that very special time of the year. Each piece is made with real Belgian Chocolate and is exquisitely decorated.